The ferry service operates a regular 30 minute frequency from both sides of the river. The crossing time between North and South Shields takes about seven minutes. 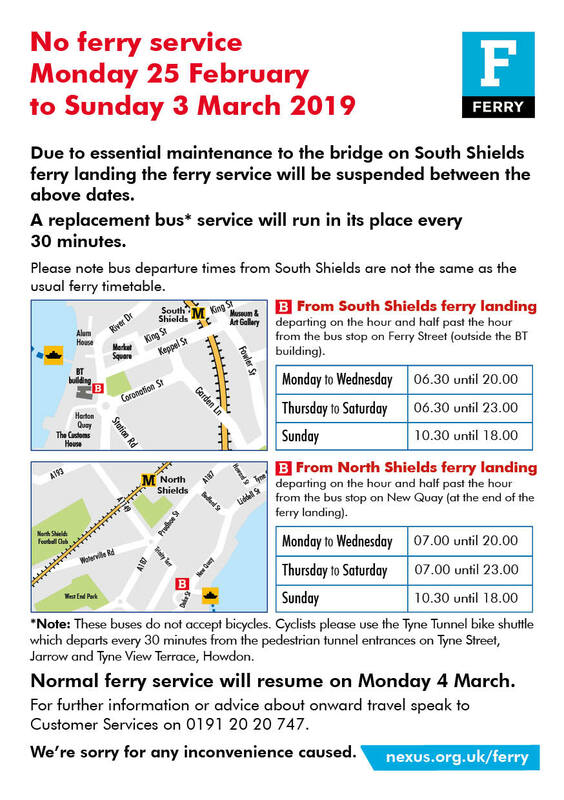 A frequency guide for the ferry is below, or the full timetable is in the Downloads section at the bottom of the page.